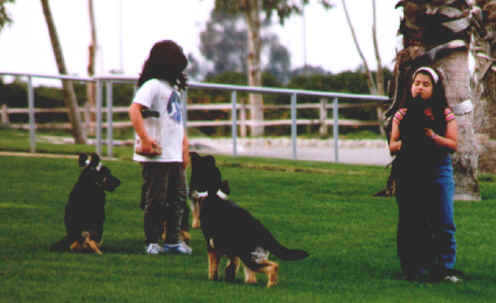 Our puppies are raised around children and are exposed to the usual day to day activities of a normal household. We are very selective with our breeding program. We are proud of the dogs we have bred and the homes we have placed our dogs in. It is important that you work with your puppy daily and we highly recommend puppy Kindergarten classes. Attending these classes will provide you with an enjoyable pet to love and have in your home. We are five weeks old and as cute as a button!